Enable turnkey firewall capabilities in your virtual network to control and log access to apps and resources. Azure Firewall supports filtering for both inbound and outbound traffic, internal spoke-to-spoke, as well as hybrid connections through Azure VPN and ExpressRoute gateways. Write policies that span fully-qualified domain name filtering for outbound HTTP(s) traffic and network filtering controls, using IP address, port, and protocol. Restrict access, prevent data exfiltration, and create connectivity policies across multiple subscriptions and virtual networks. Azure Firewall utilizes a static public IP address for your virtual network resources using source network address translation (SNAT). This allows outside firewalls to identify traffic originating from your virtual network. Inbound traffic filtering for backend services in your Virtual Network (VNet) is supported by Destination Network Address Translation (DNAT). 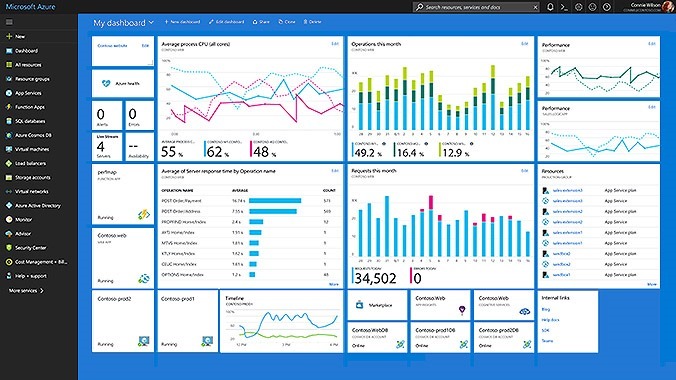 Use fully-integrated, built-in monitoring and reporting right in one place with Azure Monitor.